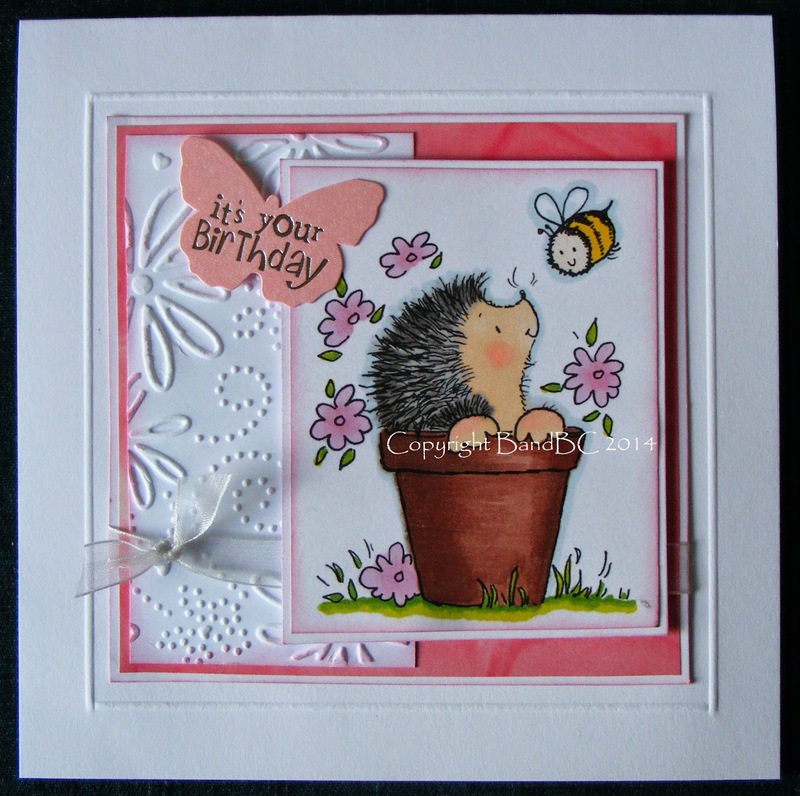 The image is from Penny black... sooo cute! then embossed a double line around it all. of the image with soft chalk inks. The final finishing touch was a craftwork cards butterfly sentiment. Eine süße Karte. Danke daß du bei der SsC mitmachst. Die ist ja so süß.Gefällt mir super. Adorable card and a very sweet image.